The second and final night of this year’s Superstar Shake-up delivered SmackDown Live some heavy hitters prior to their move onto the Fox network. After losing a significant portion of their talent on Monday night, it was time for them to rebuild their card with some major attractions, one of which is being considered the biggest acquisition of all time by Vince McMahon. Naturally, there are a couple of head scratchers in amongst the group of draftees, but overall I think this is a good haul for the blue brand. Let’s break down exactly who’s now signed to Tuesday nights and what could be in store for the future. So it was revealed that Vince’s big acquisition for SmackDown was none other than Elias. As much as I love Elias, it was somewhat of a disappointment when you’re waiting on Brock Lesnar or someone of equal status. But of course McMahon was to use this announcement to garner some heat, like the genius he is. Naturally Elias wasn’t allowed to serenade the audience for too long as out came their true biggest draftee of the night, Roman Reigns. This is a huge get for Smackdown Live, the man that most predicted would be the guy closing the Shake-Up. This should be a fresh start for The Big Dog, having recently made his comeback to singles competition. 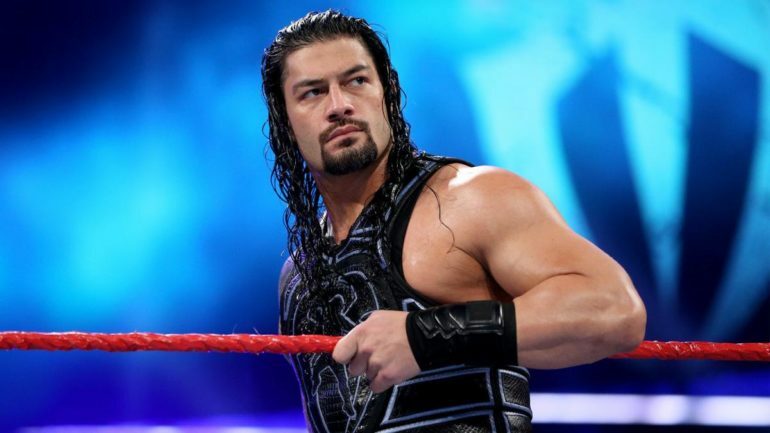 I’m not sure if a feud with Vince is exactly what he should start off with but nevertheless it’ll be good to see Reigns mix with some new faces and rebuild his status on his journey to the WWE title. Meanwhile, SmackDown now owns not just one but two mid card championships. In a bizarre turn of events, Finn Balor and the Intercontinental title have both been drafted to Tuesday nights, leaving Raw without an attainable goal for the mid-carders. Having Finn on SmackDown could mean one of two things: he’s either dropping that title in the next week or this is the first step towards unifying that and the United States title. I’m not sure which I’d prefer at this point, this seems like yet another step towards doing away with the brand extension and having only a few championships to go around the entire roster. Regardless, I’m happy Finn is going to be able to find some fresh feuds and get away from Baron Corbin matches. The women’s division certainly got some love in the form of an NXT call-up and some pretty big draftees. Bayley, Ember Moon, Mickie James and Kairi Sane have all officially joined the SmackDown roster. All seem to be involved in the women’s tag division, with Paige managing the new duo of Kairi and Asuka, Bayley and Ember have joined forces and Mickie is just sort of there. This already has led to a much more exciting women’s scene on SmackDown, with a pretty fun tag match on last night’s episode, so let’s hope they give each woman some opportunities to impress everyone on the big stage. Looking at the undercard, SmackDown picked up some diamonds in the rough in Buddy Murphy and Chad Gable. Both sitting on heaps of talent, SmackDown should definitely be the place for the former Cruiserweight champion and the former Olympian to make a name for themselves. Lars Sullivan has also been drafted again, despite being confirmed for Raw last night and the up and coming Apollo Crews has also found himself drafted. There’s a lot of potential for some bright futures, although it concerns me when names like these are drafted; it almost says that they have nothing for them elsewhere so they’ll move them with the hopes that they magically get over without any support. Usually they find themselves suffering with more of the same treatment, but with the momentum that Murphy is coming in with and the pure support for Gable and Crews, it might just carry them to success in this fresh start. Smackdown Live is about to start a new massive chapter with this transition onto Fox. With Reigns, Balor and Kofi now leading the charge for the brand, it could make for a very interesting alternative to the weekly drawl that it Monday Night Raw. I think there’s a lot of potential for this roster to be utilised better than they were, so we’ll have to wait and see where they go from here. What are your thoughts on this year’s Superstar Shake-up? Are you a fan of the new rosters or think that there could have been a few extra changes? Let us know in the comments below.